4 Day Camp: August 6 - 9, 2018 Say â€œYes!â€� to that question at our fun and exciting dance camp! Finish off your summer with a bang in our great introduction (or review) of dance foundations in Ballet, Contemporary, Hip Hop and Tap! Learn choreography to be performed the last day for family and friends, and go away with dances you can do anywhere. This camp offers age appropriate dance moves for kids with or without dance experience. Thereâ€™s no reason to be bored this summer when you can be dancing!!!! Please bring a snack and water. Attire: Ballet - Ballet leotard, tights and ballet shoes for girls, white top and black bottoms for boys. Tap & Hip Hop - Black Leotard, comfortable pants, tap shoes (we have some to borrow, but sizes not guaranteed). 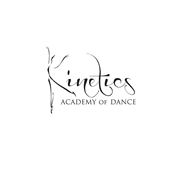 Kinetics Academy of Dance, 627 Broadway St. Suite 100, Downtown Chico. *Extended day option is available if you register in both course numbers.